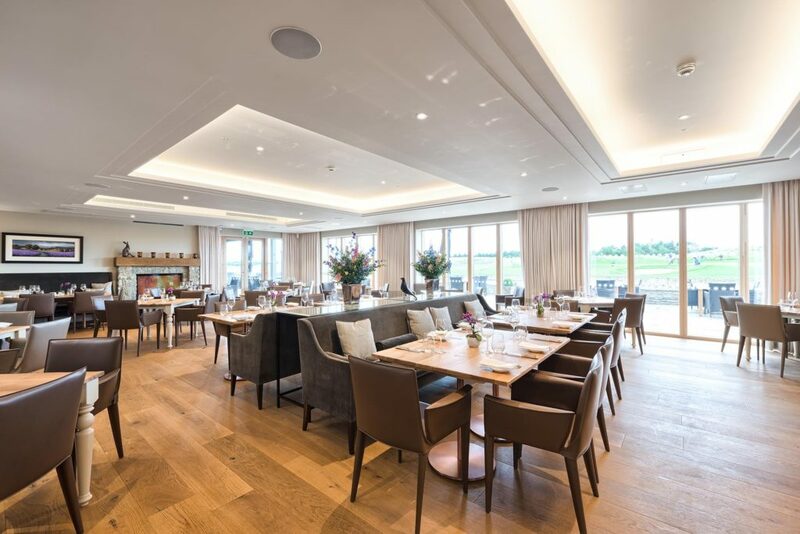 The Centurion Club project involved the design and construction of a new two storey clubhouse for this exciting new exclusive club in St Albans. 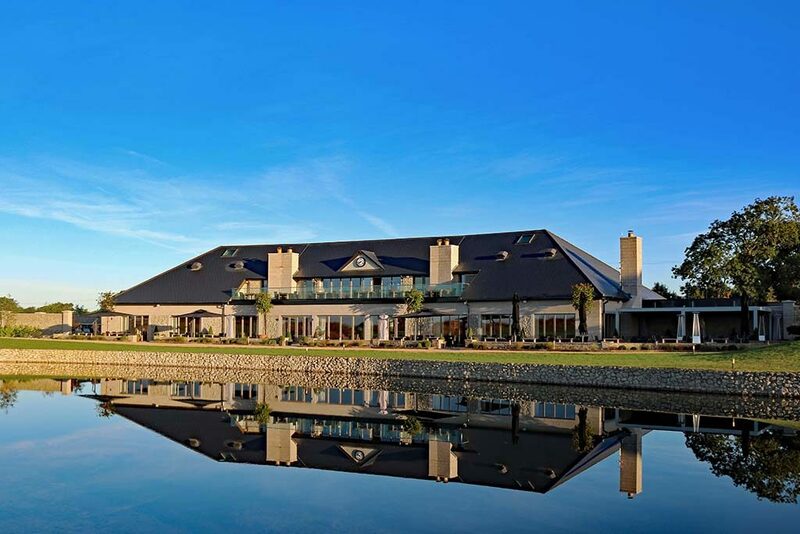 This new clubhouse, overlooking the 18th green features an 84 covers restaurant with a state of the art kitchen to house Michelin-stared chefs Chris and Jeff Galvin. 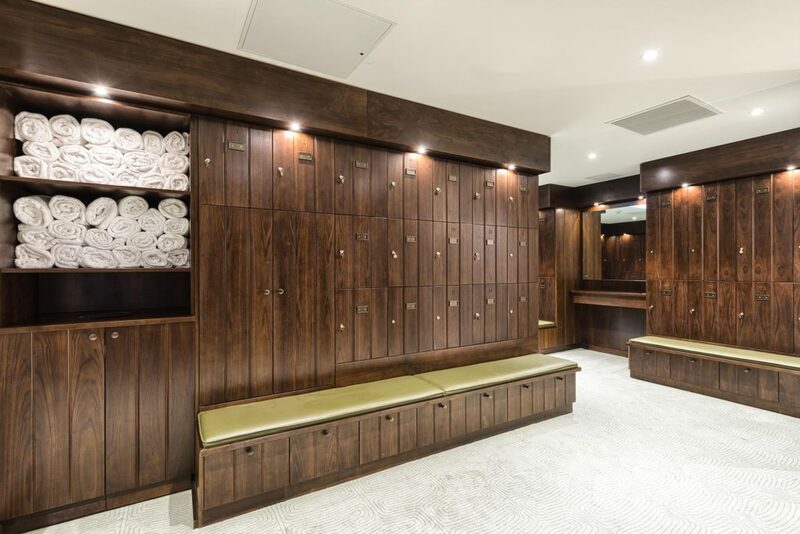 The clubhouse also offers Male and Female locker/changing rooms and a pro shop. 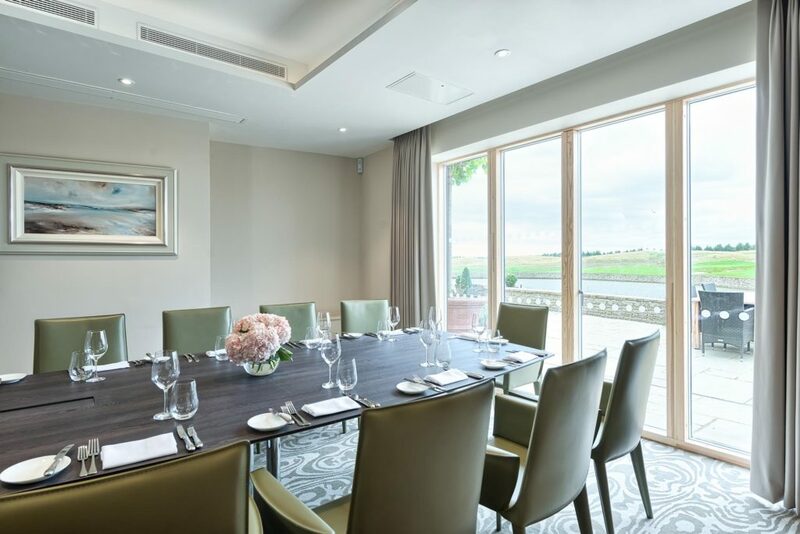 The first floor features a private members only bar which opens out onto the balcony. 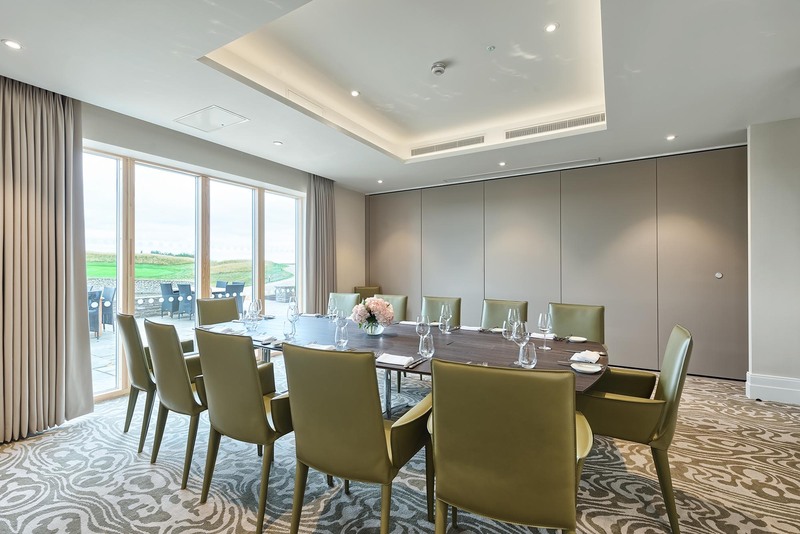 There are 3 meeting rooms as well as an office for the club staff. 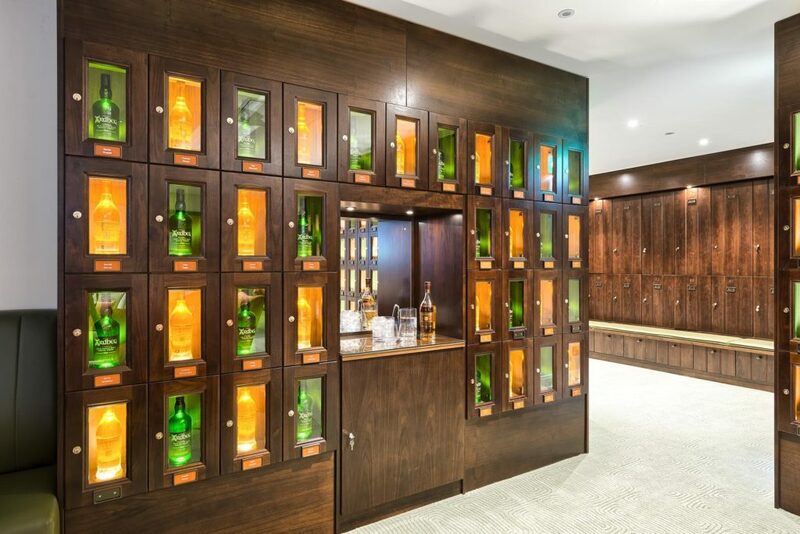 The ground floor bar has open lounge spaces, overlooking the course and the members only bar even has whisky lockers for the members to store their favourite tipples. 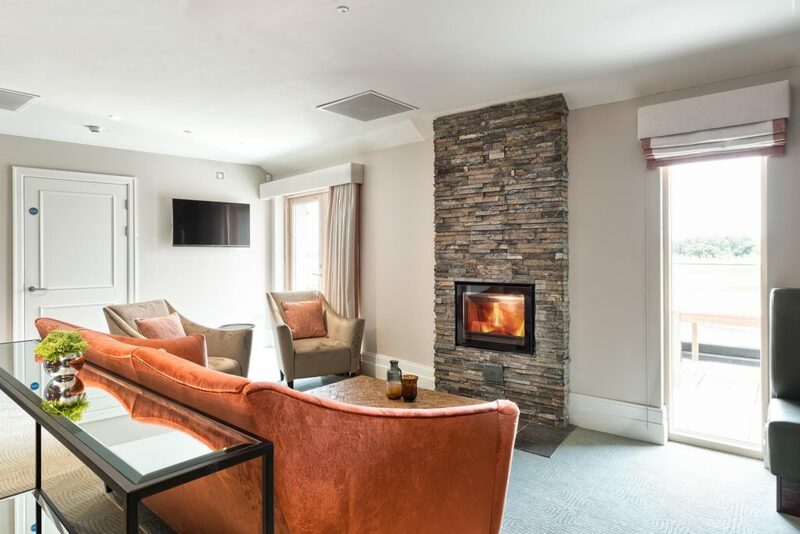 Throughout the building all the finishes are to the highest possible specification, Ashe worked closely with Centurion’s interior designer to ensure that the finished product met all expectations. Both bars have marble counter tops as do the vanity units in the WCs. 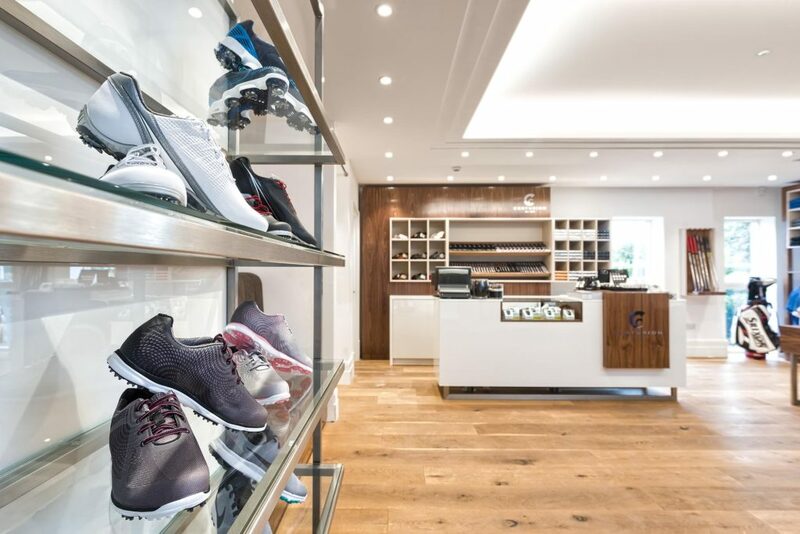 The flooring throughout the clubhouse ranges from natural oak floors to slate and stone tiles. 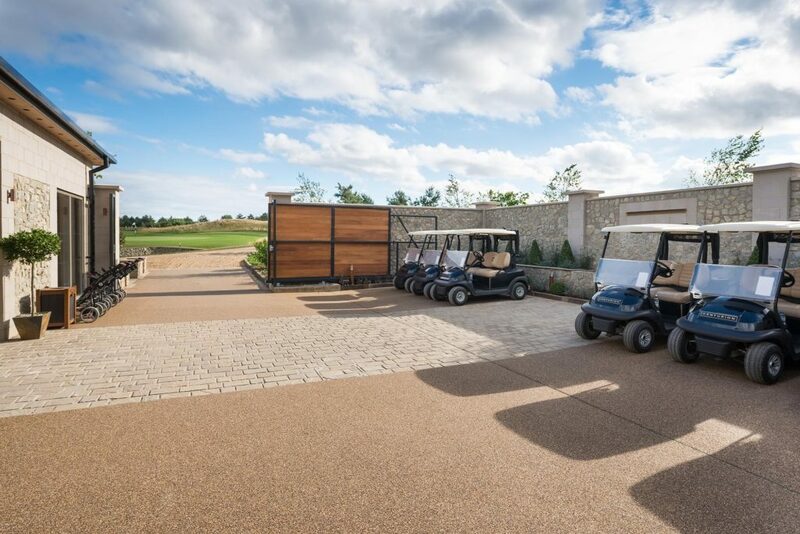 Externally the new building includes secure buggy parking space and service yard to the rear whereas along the front of the clubhouse is a welcoming patio space with seating areas and art pieces including sculptures and water features, such as 2m wide waterfalls installed by Ashe.